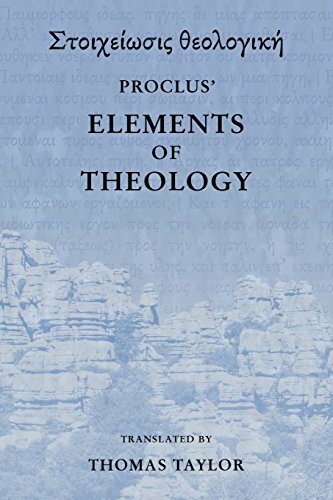 The “Elements of Theology” is one of Proclus’ most famous works. 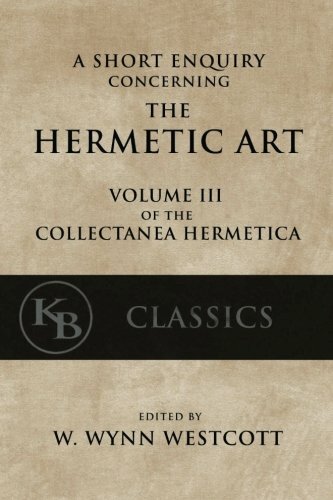 The translator Thomas Taylor describes the Elements thus: “This admirable work contains two hundred and eleven propositions, disposed in a scientific order, and supported by the firmest demonstrations. 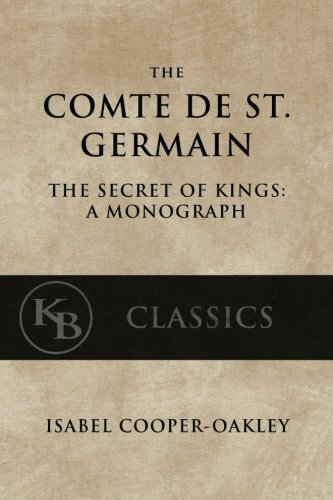 They begin from the super-essential unity, and proceed gradually through all the beautiful and wonderful progressions of divine causes, ending in the self-moving energies of souls. 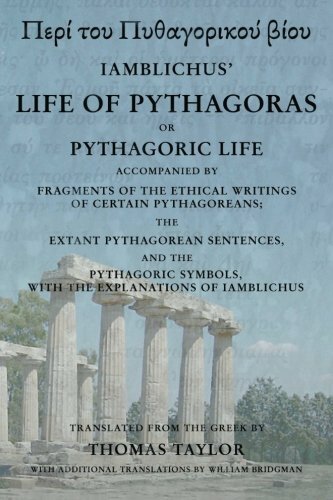 They possess all the accuracy of Euclid, and all the subtlety and sublimity necessary to a knowledge of the most profound theology; and may be considered as bearing the same relation to the Pythagoric and Platonic wisdom, as Euclid’s Elements, to the most abstruse geometry. . . . it is replete with sublimest knowledge, and the most important truths. . . . the propositions relate to the most abstract subjects that can be conceived; and the demonstrations are uncommonly subtle and profound. 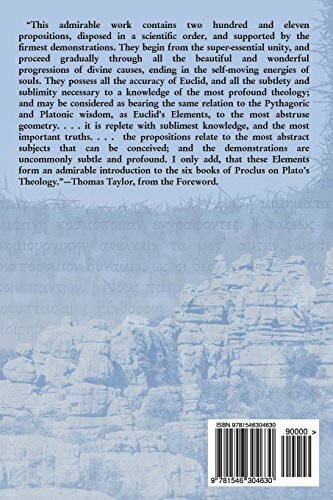 I only add, that these Elements form an admirable introduction to the six books of Proclus on Plato’s Theology.”—Thomas Taylor, from the Foreword.